How do I Know My Generator is Working? So how do you know your standby generator is working? This may seem like a rather ridiculous question for the fact that having power when there is a power outage is a good indicator that the generator is operating. You want to do a monthly test for about 15 minutes to ensure that the generator is operating fine. If you hear anything abnormal, it is good to put in a service call to find out what the problem is. Establishing a maintenance schedule with your generator company will help ensure that your generator is working when you need it to. You can opt or your generator company to utilize their remote generator monitoring service. If everything is in check, then the generator is fine. If a problem is noticed, then the generator company will immediately know. You can monitor your generator on your computer. If you see something abnormal, then you can notify the generator company to let them know and a technician can look at the issue. Having the generator repaired when it needs repaired will also give you faith that the unit is going to work when you need it to. It is very important to keep in mind that modern standby generators are highly efficient and reliable. They are made to last for decades when they are properly maintained. They aren’t like old generators that you had to crank or had to give a swift kick to work. Today’s units are a completely different ballgame when it comes to their overall reliability and functionality. 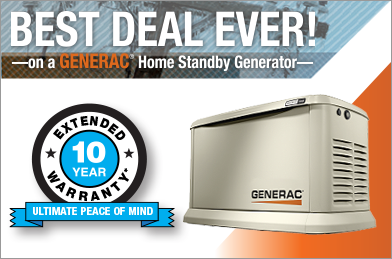 So if you have any questions, ask the generator company and you will get the answers you need when you need them. When generators are installed, they become an essential part of your home and should operate as such.